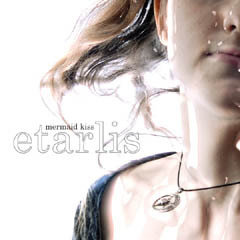 Review: "Mermaid Kiss: Etarlis" - Sea of Tranquility - The Web Destination for Progressive Music! Want more proof that we have become a MySpace race? Look no further than the second full-length CD from Britain's Mermaid Kiss, which was inspired by a fantasy adventure written by vocalist Evelyn Downing and guitarist Jamie Field about the journey of two friends into the mysterious land of Etarlis. But as a means of promoting the new album, this quartet introduced protagonists Anna and Gerri as "friends" of the band on Mermaid Kiss' MySpace page.